Examples, solutions, videos, activities and worksheets that are suitable for A Level Maths to help students learn how to use the discriminant. 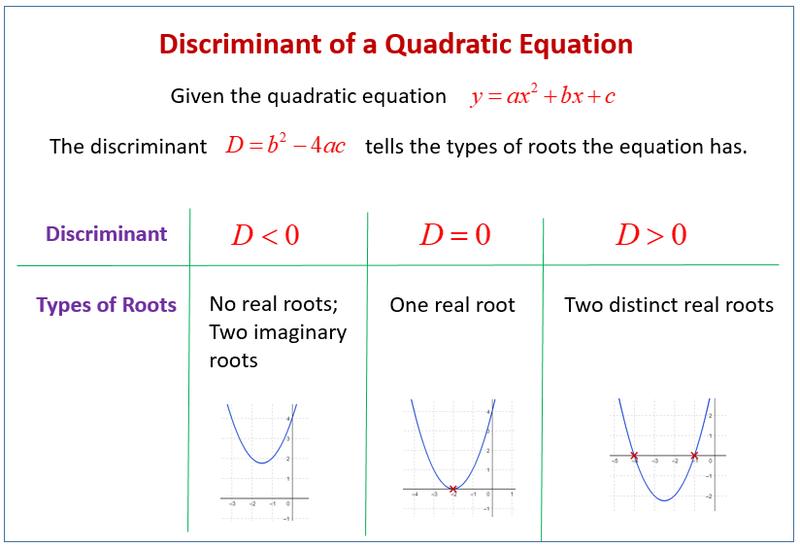 The following diagram shows how the discriminant of a quadratic equation tells what types of roots the equation has. Scroll down the page for more examples and solutions on how to use the discriminant.